Tomiichi Murayama, Japanese Prime Minister from 1994-1996, met with former comfort women in South Korea. Former Japanese Prime Minister Tomiichi Murayama, in office from 1994 to 1996, spent three days this past week touring South Korea During his tour, Murayama met with Korean survivors of the Japanese Imperial Army’s wartime practice of “comfort women” in Seoul. Murayama, now 89, shook hands with three of these former comfort women, one of whom told him that the Japanese government should fully apologize and offer compensation. In response, Murayama acknowledged that the Imperial Japanese Army’s practice of taking on “comfort women” amounted to “indescribable wrongdoings.” In a speech in the South Korean parliament, Murayama stated that “Japan must solve it,” referring to the issue which still continues to affect relations between Japan and South Korea. Although it may not undo the damage done to Japan’s relations with South Korea emanating from current Prime Minister Shinzo Abe’s visit to the controversial Yasukuni shrine in December 2013, Murayama’s tour can help remind observant South Koreans and the region that Abe’s brand of conservatism is certainly not ubiquitous in Japan. Murayama was Japan’s first socialist prime minister in years, hailing from the Social Democratic Party of Japan. Although during his time as prime minister his party was engaged in a coalition with the LDP, Murayama took the initiative to repeatedly apologize for Japan’s wartime past. 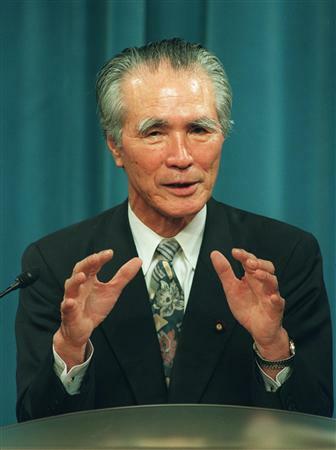 As Prime Minister, Murayama issued a national apology for Japan’s wartime atrocities. While in Seoul, he noted that he was “convinced that the statement has obtained a national consensus,” and that “Abe cannot repeal it as a prime minister.” He additionally noted that “all Cabinets that succeeded mine have inherited that statement.” “Anyone should resign as a Cabinet member if he denies the statement,” he added. Murayama attempted to reignite high-level diplomacy between Japan and South Korea, calling for President Park Geun-hye and Prime Minister Shinzo Abe to hold a bilateral meeting to work out a settlement over the issue of comfort women. “Ties will be mended if they exchange views without reserve and learn about each other’s true intent,” he said.